Sugar maple leaves; photo by Naoko Takano on Flickr (noncommercial use permitted with attribution / share alike). 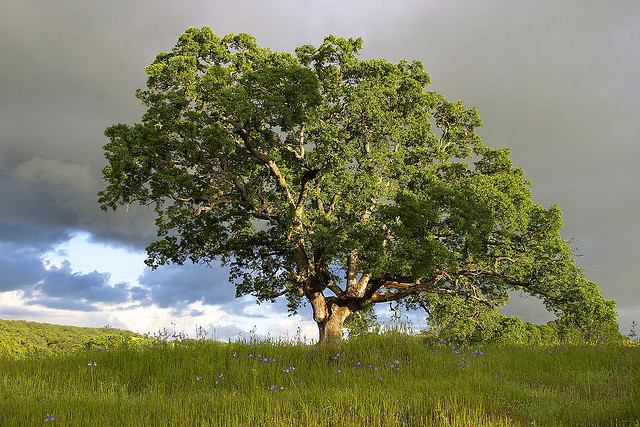 According to Wisconsin's Blue Book: " A favorite state tree was first selected by a vote of Wisconsin school children in 1893. The maple tree won, followed by oak, pine, and elm. Another vote was conducted in 1948 among school children by the Youth Centennial Committee. In that election, the sugar maple again received the most votes, followed by white pine and birch. 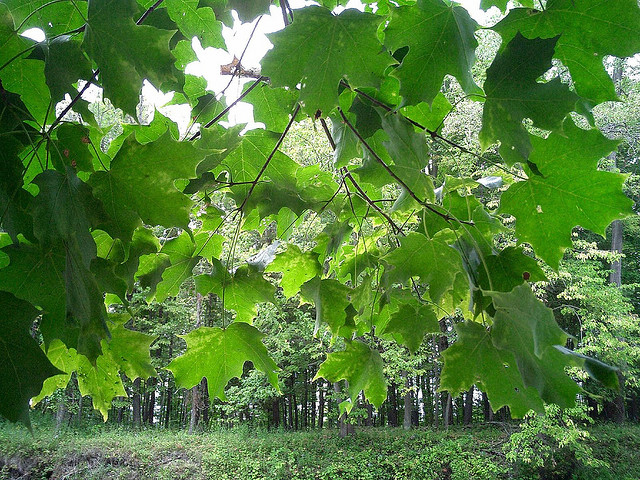 The 1949 Legislature, in spite of efforts by white pine advocates, named the sugar maple the official state tree by enacting Chapter 218, Laws of 1949." 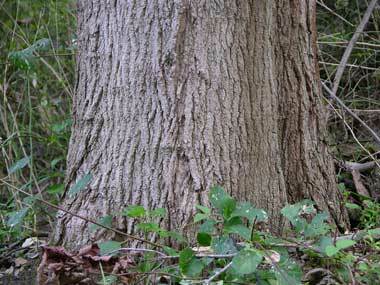 Sugar maple tree trunks are tapped early in the spring to collect their sap.The sap is boiled into a syrup, or concentrated further with evaporation to produce maple sugar. 34 gallons of sap are required to produce 1 gallon of maple syrup (or 8 pounds of maple sugar). 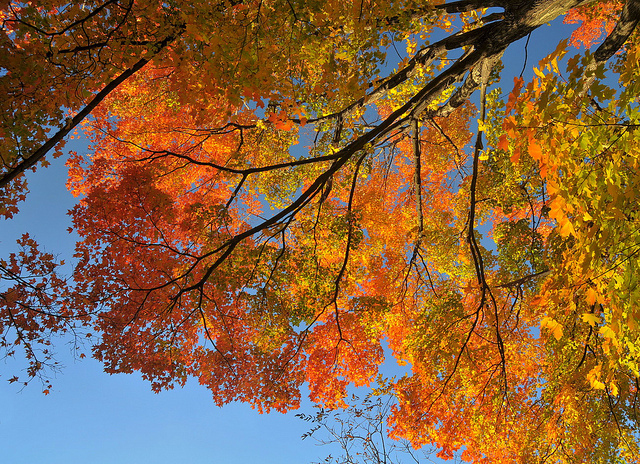 The leaves of sugar maple trees turn brilliant colors of red and gold in the fall. Sugar maple tree trunk photo © 2006 Derek Ramsey on Wikipedia, published under terms of Creative Commons Attribution ShareAlike 2.5 License. Brilliant colors from the leaves of one sugar maple tree in the fall - taken from photo of autumn leaves by Chris Glass on Wikipedia - published under Creative Commons License 2.0. Range of Acer saccharum (sugar maple) in North America (public domain image on Wikipedia).